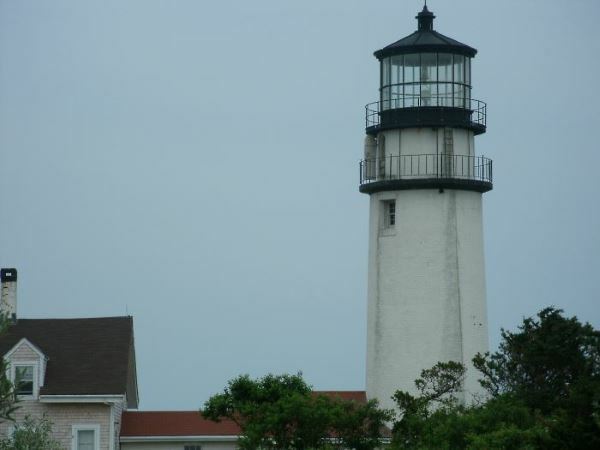 Yarmouth has beaches on Nantucket Sound as well as on Cape Cod Bay. I encourage everyone who visits the town of Yarmouth to check out the beaches on both the Bay and the Sound. You'll be amazed to see how different they are! Parking Fees: From Memorial Day to Labor Day, a parking pass or daily fee may be required during normal beach hours. No entrance fees are charged to those who walk or bike to Yarmouth beaches. 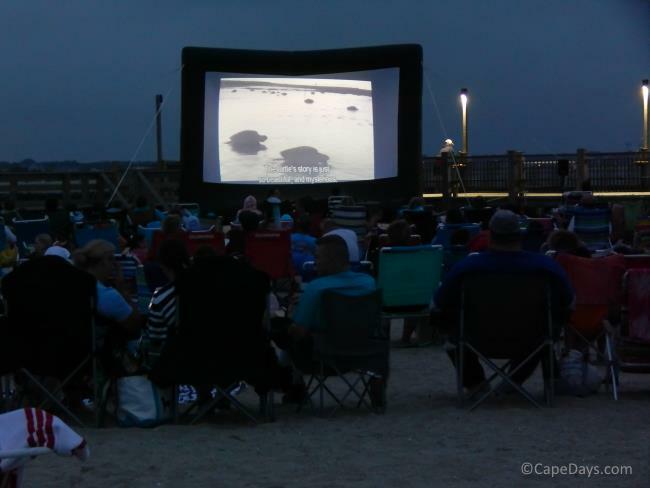 Daily fees ($15) and weekly passes ($70) may be purchased at the beach entrance; at Town Hall, 1146 Route 28, South Yarmouth; or at the Yarmouth Visitors Center, 424 Route 28 in West Yarmouth. 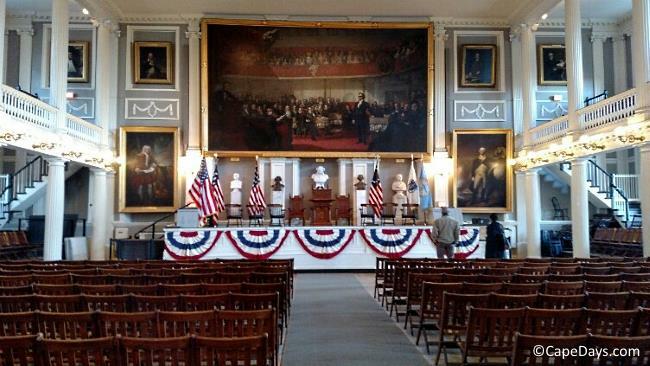 (Small additional fee charged for stickers purchased at the Visitors Center.) Call (508) 398-2231 for more info. Families with young children love Gray's Beach. It's virtually wave-free, the beach slopes gently into the water, and tidal pools form as the tide goes out - leaving lots of places for kids to see hermit crabs and other small sea critters in their natural setting. Evening is a great time to walk out on the boardwalk at Gray's Beach. The sunset over the Bay is not to be missed! Crowd Factor: Sometimes busy, but limited parking keeps this beach from overcrowding. Amenities: Lifeguard in season, picnic area, very small boat ramp, 800-foot long boardwalk out over the marsh. Location: At the end of Center Street (off Rt. 6A) in Yarmouthport. Parking: Free. There are limited spaces, but normally enough. Seagull Beach is one of the prettiest Nantucket Sound beaches in the Mid-Cape region (IMHO). It's huge, the sand is light and soft, the waves are gentle, and the views of the Sound are panoramic. Seagull Beach is a favorite with teens and young adults. Crowd Factor: Lots of visitors, but it's easy to find your own space. Amenities: Lifeguards in season, restroom and shower facilities, snack bar, handicap accessible boardwalk, beach wheelchair available. Location: Rt. 28 to South Sea Avenue to Seagull Road in West Yarmouth. Parking: Daily fee or weekly pass required. Very large lot. Does fill up at times on peak summer days. Calm waters for timid swimmers, soft sand and great views for sunbathers, and great fishing spots for anyone who wants to join family or friends for a day of sun and fun - and have a chance to reel in dinner, too. Smugglers Beach also has a spacious viewing platform just off the parking lot for folks who'd rather not get sand in their shorts. Crowd Factor: Moderately to very busy on prime beach days. Amenities: Lifeguards in season, restroom and shower facilities, snack bar, boat ramp, boat trailer parking, fishing pier, viewing platform, rock jetty, handicap ramps and beach wheelchairs available. Location: South Shore Drive (off Rt. 28) in South Yarmouth. Parking: Daily fee or weekly pass required. Large lot. Seaview is a good choice of Yarmouth beaches for anyone who just wants a nice spot to plunk a chair and relax for a few hours. This beach is small, with soft, nearly white sand, calm surf and a pretty view of Nantucket Sound. Although the water is pleasantly warm in the summertime, the occasional "jellyfish alert" signs should be heeded. Crowd Factor: Not too crowded. Amenities: Lifeguard in season, ice cream truck comes by, restroom facility. Parking: Daily fee or weekly pass required. Medium-sized lot. 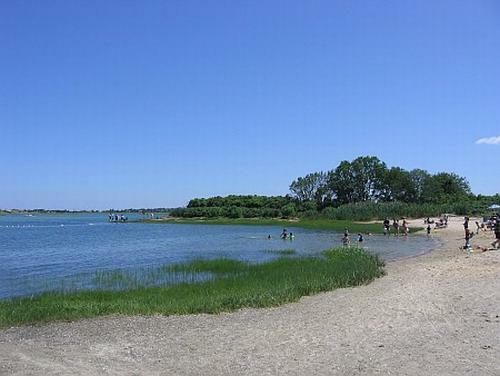 Parkers River is one of the more popular Yarmouth beaches. It's in a very scenic location, and it has lots of extras - including a gazebo, bike racks, rock jetties for fishing, and a playground for the kids. In July and August, Parkers River Beach tends to be a bit busier than I prefer. But many visitors love it and keep coming back year after year. Crowd Factor: Moderately to very crowded during prime summer days. Amenities: Lifeguard in season, restroom facilities, and all the "extras" described above. Parking: Daily fee or weekly pass required. The lot is large, but it does fill up on occasion. Englewood is a small Yarmouth beach on a protected cove on Lewis Bay. This is a very family friendly beach with warm, shallow water and virtually no wave action. There's a small play area for the kids, and an ice cream truck stops by every afternoon during the summer months. Amenities: Porta-potty, small play area, ice cream vendor, public boat ramp (but virtually nowhere to park your boat trailer). Location: Bear right at the end of Berry Avenue (off Rt. 28) in West Yarmouth. Parking: Free. Small lot with very few spaces. 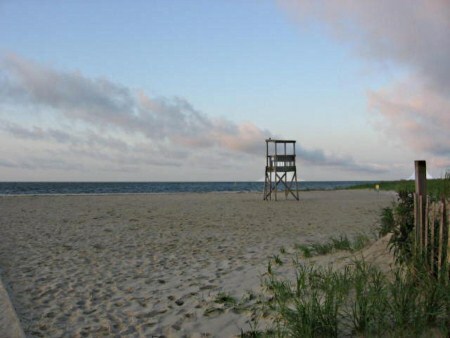 Bay View is a medium-sized neighborhood beach on the Hyannis/Yarmouth town line. This is a great place to sit and watch the ferries, fishing boats and pleasure yachts cruising in and out of Hyannis Harbor. Children enjoy splashing in the water, playing on the swings, and climbing the small jungle-gym at this beach. The water is generally quite warm at Bay View, and there aren't any waves to speak of - except when one of the big boats goes by and throws its wake onshore. Note: If you'll be here during 4th of July week, Bay View is one of the best beaches for viewing the fireworks display over Lewis Bay. It's also a great vantage point to watch the Christmas Boat Parade in early December.